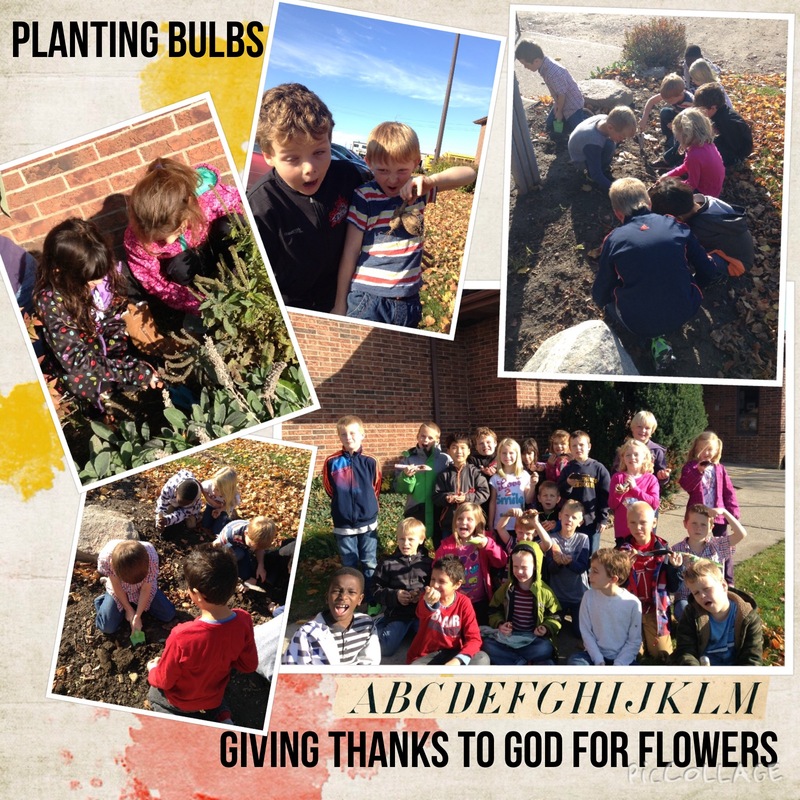 Monday the grade 2 class planted tulip and crocus bulbs in the front gardens of our school. We have been looking at how we can see the glory of God's paintbrush through the beautiful flowers that He has placed in our world. It was an exciting time as we worked together to plant almost 80 bulbs. Be sure to watch the gardens in the spring to see God's paintbrush popping through the ground.